Ever feel like you’re doing everything you can to improve your conversion rate, but people just aren’t buying? 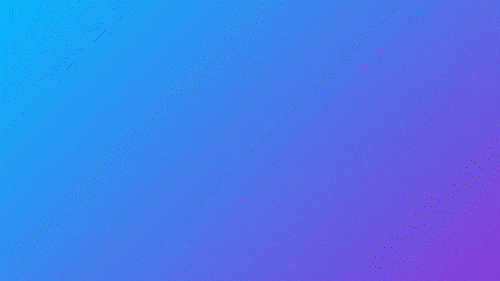 You’re following all the best practices, like having a single call-to-action and using enough white space. You’ve got your content broken down into relevant areas that readers can easily scan, and your content offer is all jazzed up. Your form only asks for the basic details, the point is to get the emails yeah? And you're still not getting any results! Set-up-wise, that is. But, there’s more to conversion optimization than just page layout, form design and copywriting. 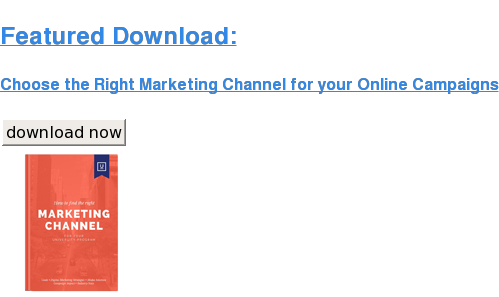 In fact, very few companies even do this one marketing tactic, let alone do it right. The one thing is: lead nurturing. 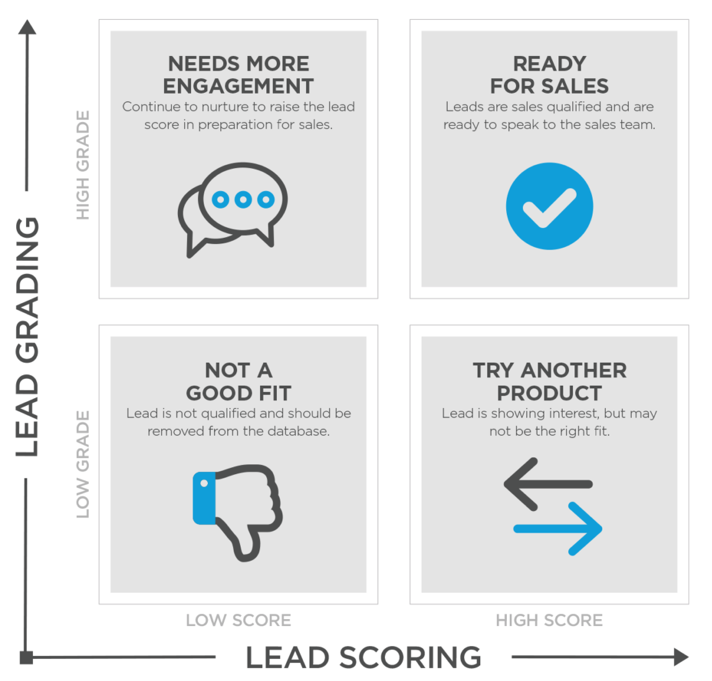 So what is Lead Nurturing? Lead nurturing is defined as the process of developing relationships with buyers at every stage of the sales funnel, and through every step of the buyer’s journey. It focuses marketing and communication efforts on listening to the needs of prospects, and providing the information and answers they need. 79% of marketing leads NEVER convert into sales and this is despite all your best efforts, and the reason is simple. Lack of lead nurturing is the cause of the problem. So how do you go about making a conversion funnel? It doesn’t raise the question of what happens after a customer has moved through the funnel? Do you still nurture them? So how do you come about redefining the process? We all want to target our products to everyone, the more the merrier right? If you don’t know your target audience, you’re losing out on potential leads. But what does Buyer Persona have anything to do with Lead Nurturing? It’s simple… if the content you’re producing doesn’t provide real value to your buyer persona, they’re gonna leave. So, the next logical question is, how are you gonna streamline this? How many buyer personas can a business have? And the answer is multiple! Each Buyer Persona that you’ve come up with will have their own workflow, that’s right, you’re not gonna mass market the same blogs and content offers to everyone. When you’re sending out emails and promotional offers, such as a "List of top 10 new apps you must download!' Might interest the power user but not the casual user. 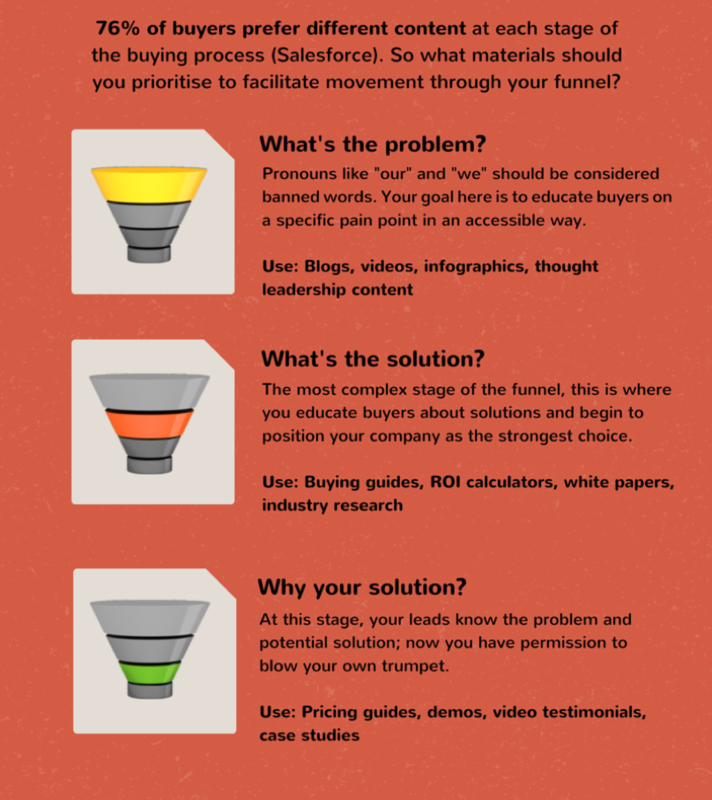 Now that you have your buyer persona sorted, let’s dive right into Funnels! Successful marketing and sales automation relies on triggering relevant and timely actions based on context. In other words, your contacts are not just reading the emails you send them; they're also reading your blog posts, visiting your website, and engaging with you on social media. With your workflows tool, you can use the data you have on your contacts' behavior to create personalized, relevant marketing and sales interactions with context. Basically having a workflow set up is Godsend, it helps you automate your Lead Nurturing process. The tool allows for multiple actions to execute at desired intervals and also includes the ability to use branching logic to perform specific actions based on how a contact has interacted with your content or website. 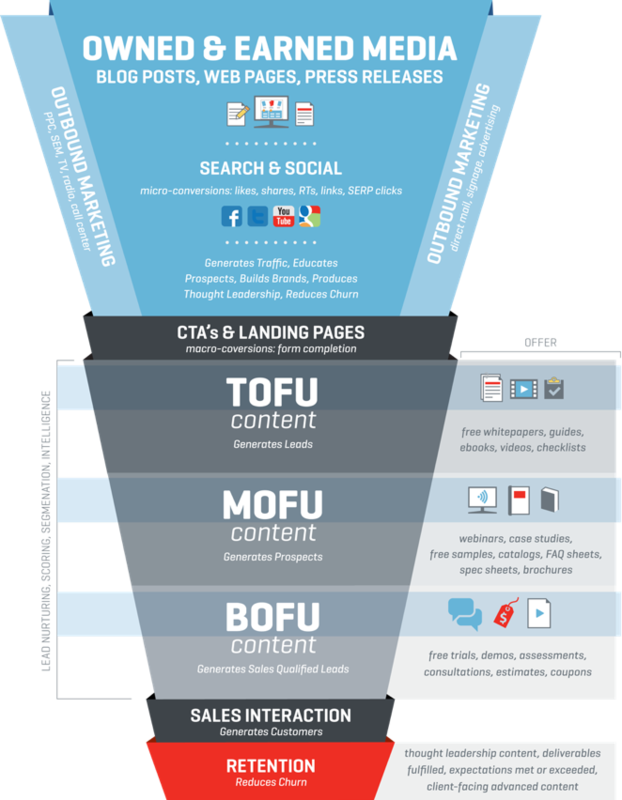 Once they’re aware, you bring out your CTA’s and Landing Pages for content offers, once they’ve filled out the forms, they’ve now successfully entered your TOFU (Top of the funnel) workflow. At this stage, it’s crucial that you outline what’s the entry criteria for your workflow, that is, what actions should a person take to enter the funnel. Similarly, you also need to set up the exit criteria – Goal of the workflow, that is, what actions should they take to exit one workflow and go to the other. So, let’s say by the end of BOFU stage you have some prospects who have taken up some actions and completed their BOFU goal criteria, so what should you do next? Not everyone who makes it to the end of the funnel will be a good fit. The prospect might be sold on your idea but the decision maker in his/her organization might not. A marketing qualified lead (MQL) is a prospective customer who has demonstrated a particular level of engagement that leads the marketing team to conclude that real sales potential exists. A company that’s using a marketing automation program might be able to set the bar to MQL qualification at something involving a combination of viewing specific pages, interacting with certain forms, and opening a certain number of email messages. When a salesperson qualifies a lead and deems it likely to eventually lead to an opportunity, this becomes a Sales qualified lead (SQL). Again, it will be up to you to determine exactly what constitutes an SQL. So now you’ve created your funnel and defined exactly how your prospects will interact with it. The final step in the process is to figure out which metrics you’ll track to determine how well your funnel is functioning. 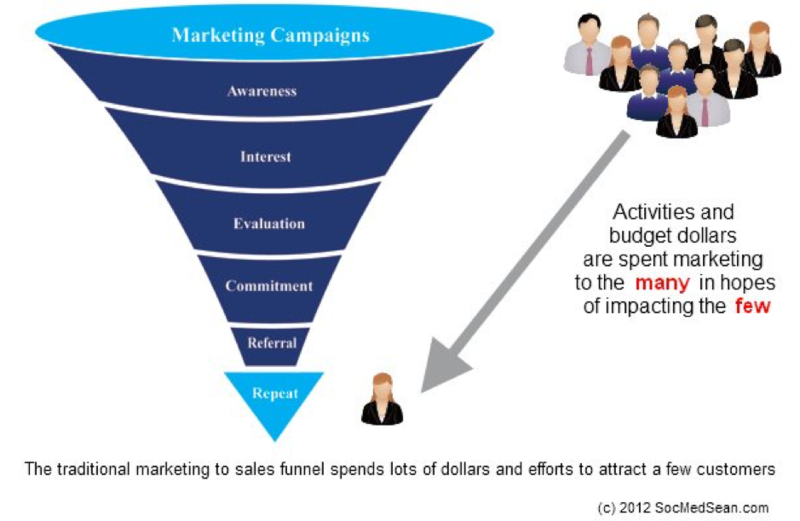 Sales Funnel Conversions: What this metric measures is the number of prospects that convert into customers. This is a really helpful metric to know if your marketing strategy is working or not. Entry Sources: Monitoring your entry sources, that is, pinpointing the sources from where people are entering your funnel can be a useful data. It gives you ideas that which stage is bringing in more people and so you can expand your reach accordingly. Content Piece Engagement Rate: If you have CTA's on your blogs, emails, Landing Pages etc, you'd like to know which one is converting the most so you can replicate the success. There are tons of tools that you can use that helps you track these and other useful metrics. Most business usually Google Analytics as it's the most comprehensive and easy to implement solution, plus it's free! If you need something advanced you can always go for Marketing Automation tools such as: Hubspot, Marketo, InfusionSoft, Pardot and so on. And lastly, creating a sales and marketing funnel like the one we just described above is no easy feat, if you think you can make this one afternoon in a sitting, then sorry to burst your bubble but that's not happening. Believe me when I say this, because we've spent weeks and months perfecting this process and every now and then we come back to see if we can better our process. With this in mind, have you started creating your conversion funnel yet? It HAS to be understanding your target audience / ideal buyers. And I mean a deep understanding. Not in the superficial age/gender/relationship status/job role way, but in the "my buyer is a real, living, breathing, 3 dimensional human being" kind of way. Because when you understand who you're marketing to, you're able to make better decisions, spend your budget more efficiently and, most importantly, sell more of your products/services. 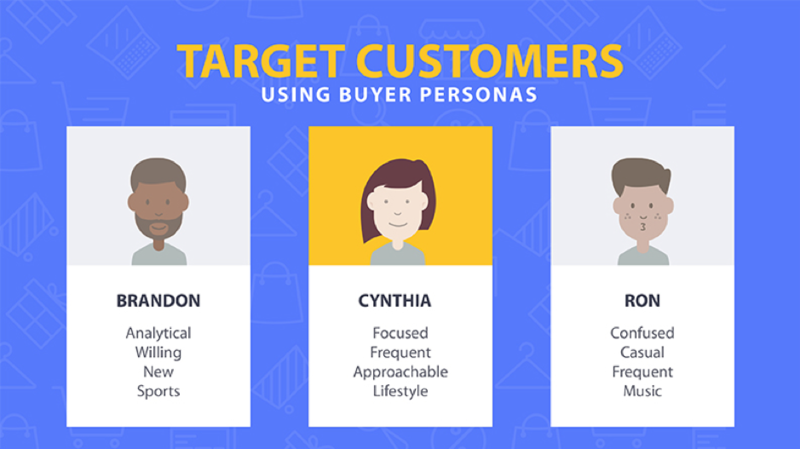 That's why I created a FREE GUIDE on how to create buyer personas for your business AND given you some handy templates to do it.